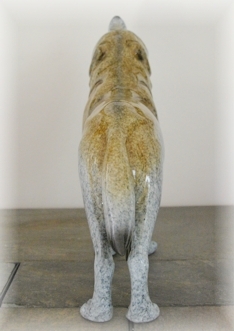 The Porcelain Wolf Figurine is an outstanding piece. The shape of the Wolf howling is true to life. The porcelain has mixed colors of blue, gold, brown and black. It looks like it is made out of stone. 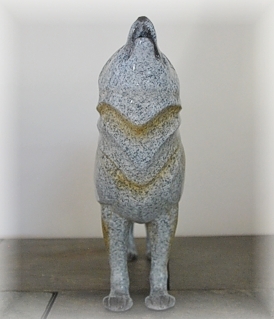 This is a large Wolf Figurine that will look lovely in a curio cabinet, on top of a fireplace or on a coffee table.